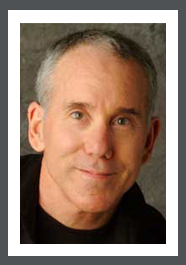 Dan Millman is a former Trampolining world champion athlete, university coach, martial arts instructor and college professor, and an author of fourteen self-help books, currently published in 29 languages, the most famous of which is the semi-autobiographical novel, Way of the Peaceful Warrior (1980), which was adapted into a feature film, Peaceful Warrior (2006) directed by Victor Salva and starring Nick Nolte. At the age of 17, he won the United States Gymnastics Federation (USGF)’s Trampoline Championship and competed in gymnastics at John Marshall High School in Los Angeles. While a freshman at U.C. Berkeley, he won the 1964 Trampoline World Championships in London. The same year he won three All-American titles, including national titles in FX and V. Later in 1968, he recovered from a motorcycle injury, and co-captained the 1968 NCAA University of California gymnastics team; also in 1968 he was appointed as Director of gymnastics at Stanford University, where he coached U.S. Olympian Steve Hug and brought the Stanford team to national prominence. In 1972 he became an assistant professor of physical education at Oberlin College at Oberlin, Ohio. In 1964, he became the first World Men’s Trampoline Champion at the 1964 Trampoline World Championships in London.